You can invite people one by one, by typing in the e-mail of the person you’d like to invite, or you can invite people in bulk by copy and pasting a comma or space-separated list of email addresses. 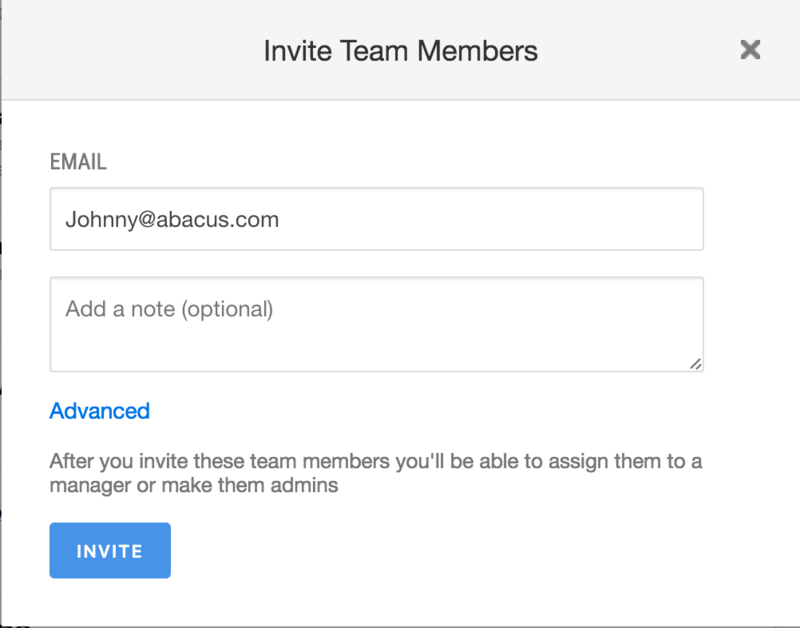 Send out email invitations later, but add employees to the account now. If you'd like the employee(s) to receive the invitation email right away, just click "Invite Team Members" and then the blue "invite" button. You can add an optional note welcoming them to Abacus. When you click "invite" they'll receive the email invitation prompting them to set up their Abacus account. You also have the option to send the invitation to the employee at a later time! Simply click 'Advanced' and switch the toggle to 'No'. The invitation will be saved in the 'People' tab along with the rest of your team. This allows you to assign a manger, add rules and team fields, to this employee's Abacus profile prior to inviting them to set up the. 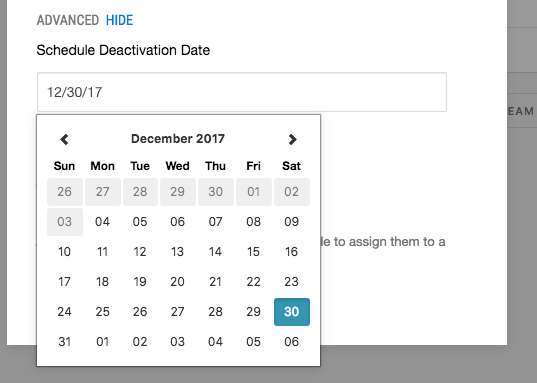 An additional option you have is to set a deactivation date for an Abacus account. This can come in handy when you would like to invite a temporary employee or are interviewing candidates who will need access to Abacus for a set period of time. That’s it! That user(s) will receive an email with an invitation to join your Abacus account.